Are you itching for the start of summer when you can go on a picnic or grill some hot dogs? Maybe the taste of freshly grilled hamburgers sounds good right about now. One thing that you will need to have for a condiment is relish. 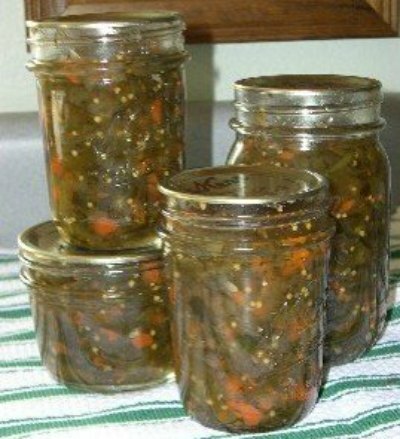 You can easily make your own sweet pickle relish at home. Making a sweet pickle relish at home will be easier than you may think. If you know how to preserve a selection of fresh fruits and vegetables, then this making relish is really easy. You need to use the water bath canning method for this task. The most important thing about making tasty sweet pickle relish is chopping the ingredients. You need all of the ingredients to be finely chopped to get the proper consistency. The jars of relish can easily be stored for a long period of time in a basement, a cellar, or other dark area.